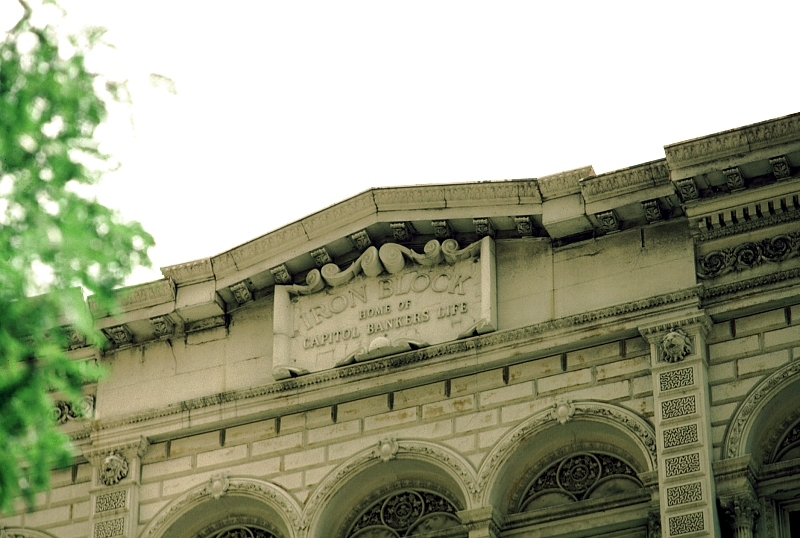 The facade of the Iron Block (actually two structures) is made of cast iron. The 120 foot front, modelled on the Renaissance palazzo, is constructed of cast-iron modules, which are bolted together. 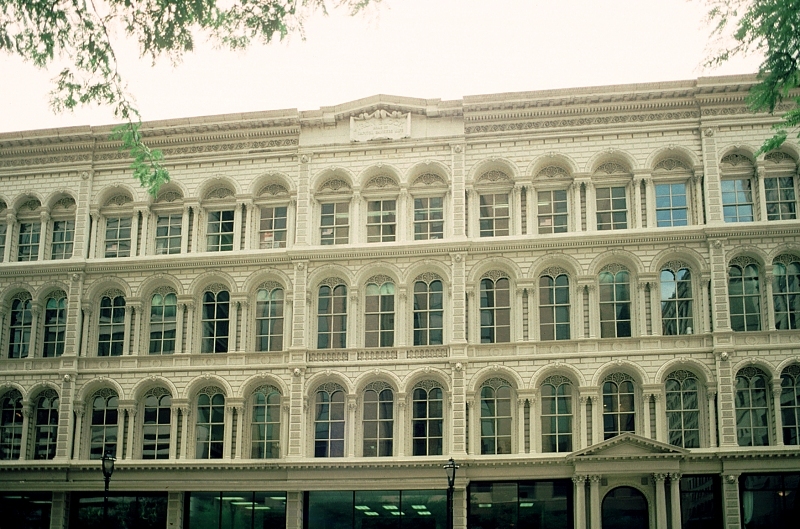 A number of similar buildings remain in New York City and, in fact, the designer George H, Johnson, worked for Daniel Badger (1806-1884) whose Architectural Iron Works made prefabricated units for a number of commercial buildings in Manhattan. 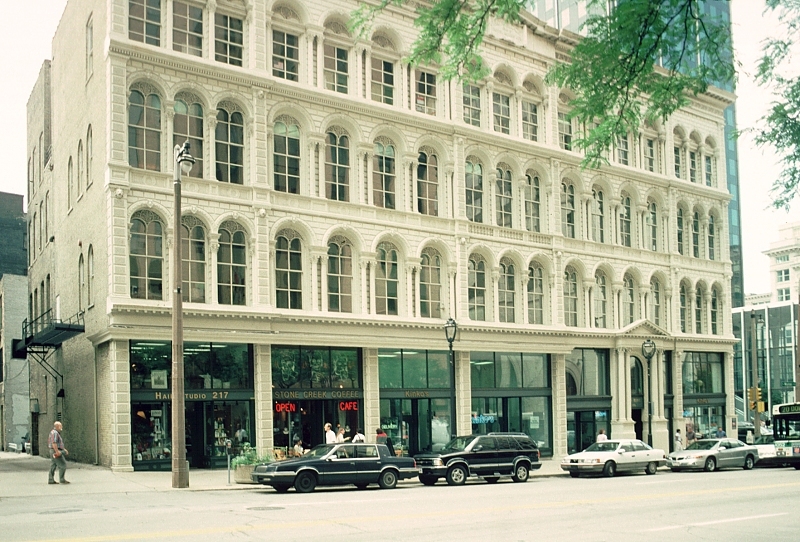 (See also the Christian Specht Building in Omaha Nebraska by Dufrene and Mendelssohn.) 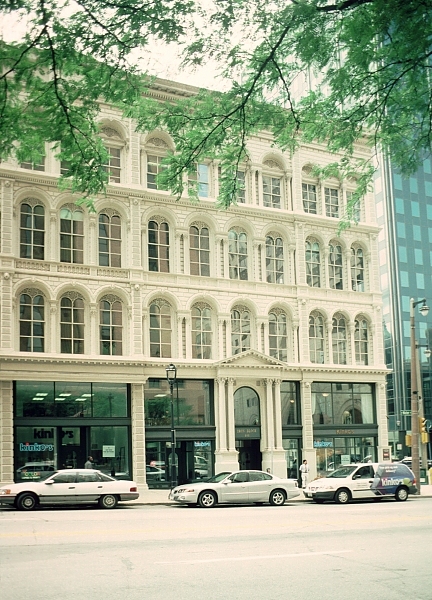 James Baynard Martin, a Milwaukee businessman, contacted Badger for the construction of Iron Block, first called Excelsior Block and later Martin's Iron Block. The support structure is brick and wood with prefabricated modules bolted to this underlying structure. 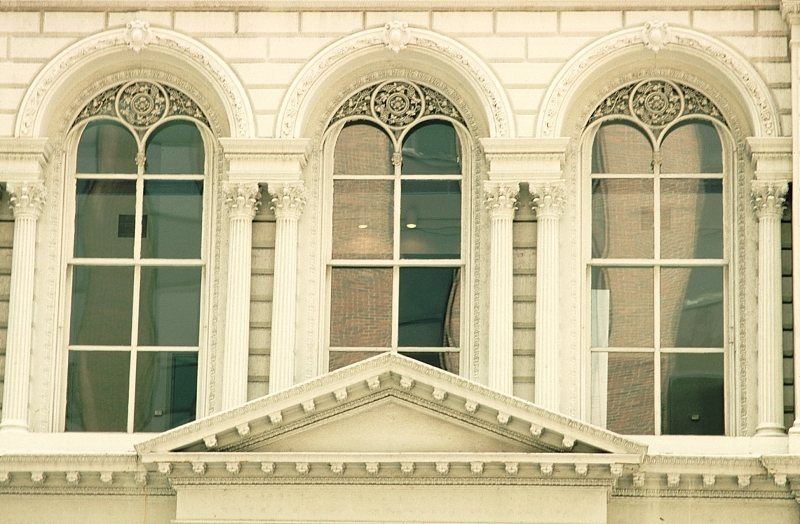 Arched windows are bracketed by fluted Corinthian columns; cast-iron pediments, string courses (egg and dart), balustrades, vermiculated rustication, and lions heads--all made of cast iron--seem as if made of stone. This type of construction was, of course, efficient and the facades only needed painting for maintenance. 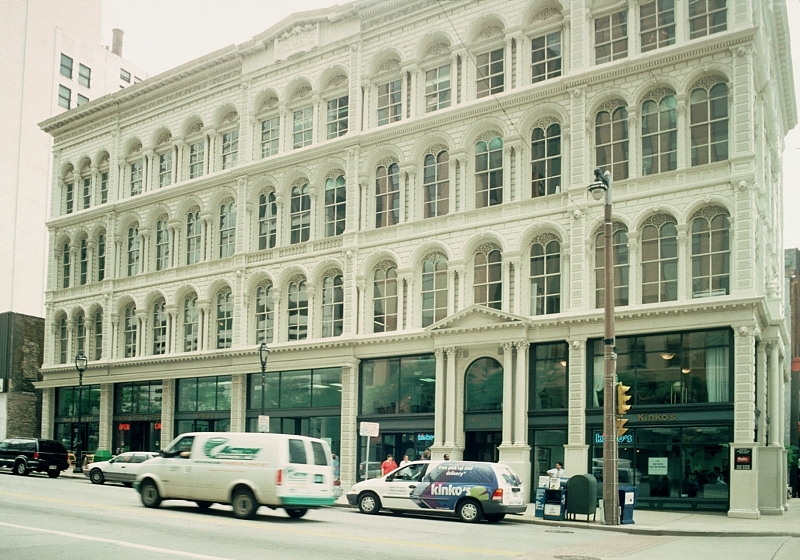 Unfortunately, in many cities cast iron buildings were lost in the fervor of urban renewal .